Chances are, your business’s waste disposal and waste management services aren’t as cost-effective or comprehensive as they could be. By adopting a waste management program that focuses on reducing the amount of waste generated, and reusing and recycling salvageable materials, your business can save money and become more eco-friendly. Here are some successful strategies that will help your business reduce, reuse, and recycle in Atlanta . A recycling program is key to lowering your waste disposal costs, reducing the amount of waste your business generates, and reusing valuable materials. Ask your local recycling center for recycling bins, and educate employees on necessary recycling facts and procedures. When you reuse and recycle materials, you decrease the demand for production of new materials, which provides a significant benefit to the environment. You also reduce the amount of landfill space your company requires, and lower your waste disposal cost. Most recycling centers offer paper, wood, cardboard, plastic, electronics, and scrap metal recycling. Analyzing your waste production provides you with valuable data that can help you reduce waste. Track and record your waste production to determine where you can cut costs, and how you can best implement a recycling program. Once you’re aware of how much waste your company produces, you can identify areas where you can reduce the purchase, production, and use of materials that cannot be reused or recycled, and try to adopt a sustainable waste reduction program. A zero waste initiative encourages all employees to be aware of their waste production, so that you can reduce, reuse, and recycle as effectively as possible. A zero waste initiative focuses on modifying and regulating the company’s packaging and distribution procedures to include more sustainable, eco-friendly alternatives. You can use recycled products, or recyclable products, in your packaging and distribution materials. Your employees should be involved in the development of a sustainable waste disposal and waste reduction program, so that they feel more invested maintaining its results. Hotels produce a lot of waste, and a comprehensive waste disposal program is crucial to reducing waste in Atlanta . By implementing a recycling program and adopting sustainable waste management practices, your hotel can significantly reduce waste production and waste disposal costs. Watch this video for more tips on waste management in a hotel setting. Your local waste management company can provide waste analytics that will help your hotel develop an effective waste management program that allows you to reduce waste, and also reuse and recycle any salvageable materials. Apartment buildings generate a lot of trash, and without an effective recycling program in place, much of that trash ends up in dumps and landfills. A recycling program allows a building owner and its residents to make a positive impact on the environment by reducing unnecessary waste, and reusing or recycling valuable materials. If you own an apartment building, keep reading for some great tips for establishing a program for recycling in Atlanta . Your local recycling center can help you develop the best recycling program for your building’s needs. A waste management company that provides recycling services can help you analyze the building’s waste production to determine what materials can be reused, and recycled. They will also help you develop a waste reduction plan that will save you money on waste management costs. The company will provide dumpster rentals, recycling bins, trash pickup and waste disposal services, and can recycle materials at their recycling center. When you get recycling bins from your recycling center, they should be placed in prominent, easily accessible areas inside or outside of the building. You can even provide residents with small recycling bins for their apartments, to make it easier for them to participate in the recycling program. The recycling bins should be clearly marked, so that residents and visitors understand what materials can be placed inside. Your recycling program will be ineffective if residents aren’t aware of it, or don’t understand how it works. Provide residents with recycling facts that are clear, and that detail instructions about what materials can be reused and recycled. 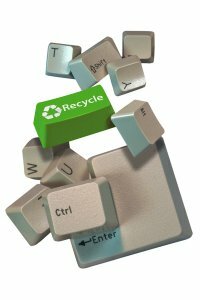 Most recycling centers handle scrap metal, electronics, paper, plastic, wood, and cardboard recycling. Your recycling center may be able to provide pamphlets or other materials that contain necessary recycling facts and detail their recycling procedures. If your company is undergoing a construction, demolition, restoration, or remodeling project, you should investigate what a commercial or industrial waste management company can offer. A construction waste recycling program in Atlanta will allow your company to reduce and reuse construction waste—saving money, time, and energy. Watch this video for an inside look at the construction waste recycling process. A waste management and waste disposal company can provide roll off dumpsters in which you can collect large construction waste for later trash removal and recycling. Taking advantage of dumpster rentals can help you maintain a clean and organized worksite, and will also reduce your crew’s workload by simplifying trash collection and disposal. If your company is considering implementing a recycling program into their industrial or commercial waste management program, you may be interested to learn how the recycling process works. A waste management company with a recycling center in Atlanta will allow your company to recycle plastic, film, wood, paper, glass, electronics, and cardboard with ease. 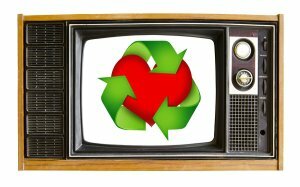 Watch this video to learn more about the recycling process. You’ll get a glimpse of the Philadelphia Materials Recovery Facility and their single-stream recycling process. Recycling allows companies to minimize waste, reuse valuable materials, and conserve the earth’s natural resources. Instituting a recycling program can also improve your organization’s brand image by aligning operations with the eco-friendly movement in the United States. If your company or household is implementing a recycling or waste management program, you may be interested in dumpster rentals near Atlanta . A dumpster allows you to collect large pieces of trash, or commercial or industrial waste, until it is picked up by your trash company or recycling center. Here is a simple guide to choosing the right rental dumpster for your needs. An employee of a waste management company can help you calculate how much waste your household or company will dispose of monthly. Dumpsters come in many different types and sizes, and you will need to have a good understanding of your waste disposal needs before choosing a dumpster. You’ll also need to consider the type of waste that your household or company will be generating. Waste is classified into various categories, including household waste, commercial waste, industrial waste, construction waste, and hazardous waste. These cannot be disposed of in the same dumpster, so you’ll need a separate dumpster rental for each type of waste. Many recycling centers require that you sort your recyclables by material. Recyclable materials can include glass, metals, cardboard, paper, plastics, wood, film, and electronics. Talk with a representative at your waste management company or recycling center to determine how they require you to sort your recyclables prior to pickup. You may need to rent a dumpster or recycling bin for each type of recyclable. Your waste management company provides dumpster rentals in many different types and sizes. Front load and rear load dumpsters are typically available in sizes that range from two cubic yards to eight cubic yards. Roll off dumpsters are the largest capacity of dumpster rentals that are available. They can be as large as 40 cubic yards. Roll off dumpsters are ideal for households or businesses that are undergoing restoration or remodeling projects, or for large businesses that produce a lot of commercial or industrial waste. A commercial waste management company in Atlanta can help your company save money and time. It can also provide helpful tools, like recycling, that will allow you to reduce your waste and become a more eco-friendly company. Waste management companies can offer waste disposal and recycling services to office buildings, supermarkets, convenience stores, malls, and restaurants. The primary components of a successful commercial waste management program include trashcans, recycling bins, and dumpsters. Many waste management companies allow you to rent dumpsters and trash compactors that can aid you in your waste disposal and recycling. 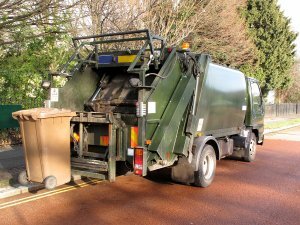 Commercial waste management companies can also help your business save money. They can help you improve site logistics, and provide analytical data and reporting that allow you to identify primary sources of waste, reduce waste, and manage waste more efficiently. Implementing a recycling program will allow your company to join the effort to conserve the earth’s natural resources. Recycling reduces the demand for new materials, and conserves the energy required to manufacture and distribute new materials. At Southern Waste and Recycling , we offer comprehensive waste management, recycling, and waste disposal services to the Atlanta area. We provide dumpster rentals and other valuable equipment rentals that will help your household or company save time, money, and energy meeting your waste management and recycling needs. We also provide professional equipment repairs at an affordable price. 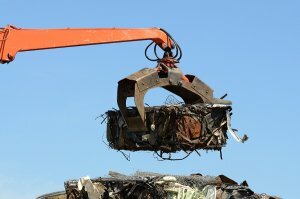 Our expert technicians can repair or refurbish a number of different types of waste or recycling equipment. They can also provide basic or complex installations, and equipment modifications for facilities with special needs. We can also provide preventative maintenance for equipment, which will help reduce your need for new equipment or more costly repairs in the future. We rent, refurbish, modify, install, and repair compactors, balers, front loading dumpsters, roll off dumpsters, and many other types of waste management or recycling equipment. We provide an array of rental, sales, support, and repair options that are sure to fit within your budget. If you own or operate a business that produces construction waste, a waste management or recycling company can help you reduce and eliminate this waste. A waste management company can provide roll off dumpsters in different sizes for use in construction, demolition, restoration, or remodeling projects. Here is a look at some of the different types of construction waste that can be reused or recycled by a waste management company in Atlanta . Construction, demolition, restoration, and remodeling projects all produce a lot of building material waste. This waste may include insulation, nails, electrical wiring, rebar, wood, plaster, scrap metal, cement, and bricks. These materials may be damaged or unused, but can be recycled or reused in other forms. Waste wood can be recovered and recycled into wood for new building projects. 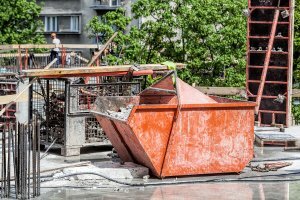 Cement, bricks, and plaster can be crushed and reused in other construction or building projects. These materials can be collected in a roll of dumpster that can then be picked up by your waste management or recycling company. Dredging materials are materials or objects that are displaced during the preparation of a construction or demolition site. These materials may include trees, tree stumps, rubble, dirt, and rocks. A waste management company can provide waste disposal and trash removal of dredging materials. If any of these materials can be reused or recycled, they will be taken to a recycling plant. A waste management company can also provide dumpster rentals in which you can collect this waste. The sites of construction, demolition, restoration, and remodeling projects often produce hazardous waste. 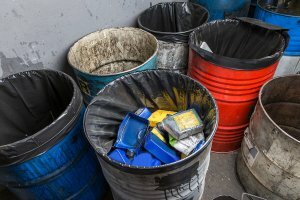 Hazardous waste may include lead, asbestos, plasterboard, paint thinners, strippers, and solvents, mercury, fluorescent bulbs, and aerosol cans. These materials need to be disposed of according to strict state and federal laws, and there are harsh fines and punishments for non-compliance. 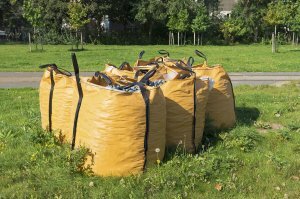 A waste management company in Atlanta can help you comply with city, county, and state guidelines, as well as with your insurance requirements for the safe disposal of hazardous waste.